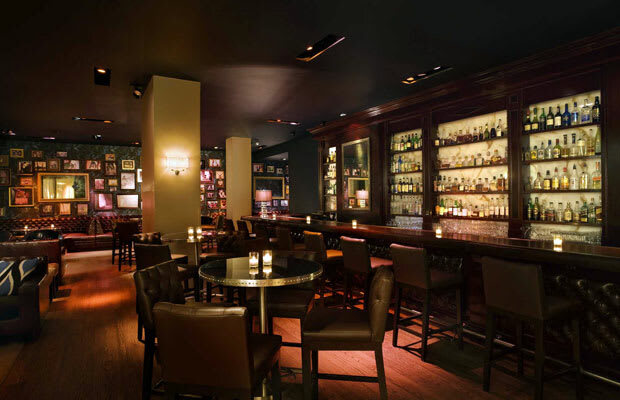 We suggest stopping at this W Hotel bar on your way home from work; the happy hour is a killer. The corporate gents put their BlackBerrys on the bar, their briefcases on the floor, and keep their eyes on the prize… which, in this case, is the crowd of twentysomethings who are well-aware of their audience. Another Rande Gerber establishment, Whiskey Blue is a casual, conversation-friendly venue with unintimidating but polished décor, pricey cocktails, and a pop playlist friendly enough for the young executive and the old businessman alike.